On Sunday, March 24th, at Lord and Savior Ev. Lutheran Church in Crystal Lake, Pastor David Carlovsky will preach on the Old Testament lesson for that Sunday, Exodus 3:1-8b,10-15. 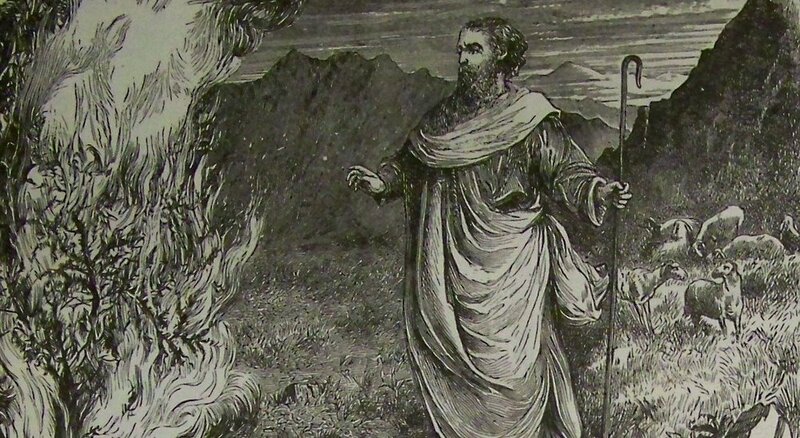 This is the story of Moses, who had been shepherding sheep for 40 years when he saw something he had never seen before — a burning bush that didn’t wasn’t consumed by the flames. Before the day was done, that shepherd knew he had come face-to-face with so much more than a bush that burns! I. His glory burns around us! II. He makes our hearts burn within us! John 19:14-18 - Take Him Away! 1 Corinthians 1:18-25 - What’s the Cross to You? The following Sunday, March 31st, Pastor Carlovsky will preach on the Epistle lesson for that Sunday, 1 Corinthians 1:18-25. The apostle Paul, himself a Jewish Christian, writes that "Christ crucified" is "a stumbling block” — in the Greek, a “skandalon” — a scandal — to Jews.” The sermon will highlight how so much of our 2019 world views the cross as nonsensical and foolishness. Matthew 26:20-25 - Is It I? Newer Post1 Corinthians 1:18-25 - What's the Cross to You?